Swedish voters in the European Parliament elections have punished the parties of the centre-right government coalition and in particular Prime Minister Fredrik Reinfeldt’s Moderates, which only got 13.5% of the votes. The Moderates have lost about 5% of the vote since 2009. They came third in the elections after the Social Democrats (24.5%) and surprisingly, the Environment Party, which took 15.2% of the Swedish votes. 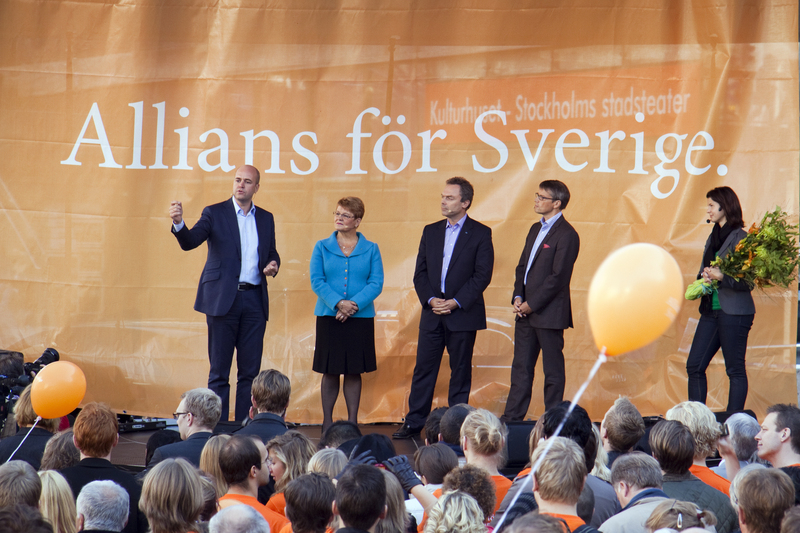 The two left-wing parties are hoping to form a new Swedish government after the general elections in mid-September, together with the Left party. The Parliament elections have been called ‘a clear indicator’ of what politicians and political parties can expect from voters in September. Other government parties such as the social-liberal Centre Party and the liberal People’s Party also lost support. The Feminist Initiative (FI) party won 5.3% of the vote and one seat and the far-right, Eurosceptic Sweden Democrats took 9.8% of the votes and two seats. Sweden’s far-right party, the Sweden Democrats (SD), for a long time looked to be the election’s biggest loser, expecting to get about 3.3%. Party leader Jimmie Åkesson had to encourage SD voters to ‘step up’ on Sunday, stressing that a bad election will create a negative sentiment just before launching the next campaign, aimed at the general elections. The tactic worked as the party as the party gained 6.5% of the votes. Åkesson told Swedish TV that he expects even more votes after the final count, as voters do not always want to admit in polls that they vote for the far-right. “This is the best election we have had. We usually don’t do well in polls so we expect to get even more,” he said. Neither FI or SD will disclose at this time which groups they want to be part of in the Parliament. The FI is likely to go for the European United Left–Nordic Green Left parliamentary group while SD has previously suggested joining the group European Alliance for Freedom founded by the French MEP Marine Le Pen from the National Front and the Dutch leader of the Party for Freedom (PVV) Geert Wilders. The overall turnout in Sweden was 51%, up 6% since 2009.